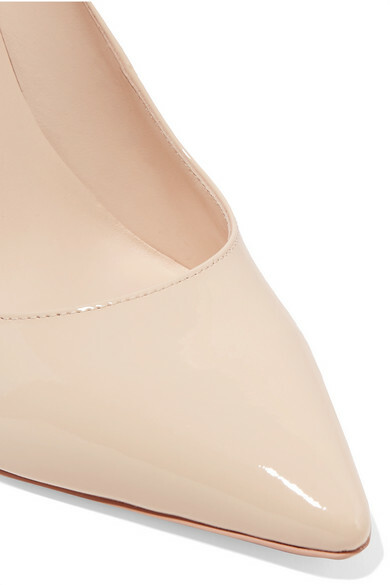 Sophia Webster takes a more pared-back approach than the usual with her 'Essentials' collection. 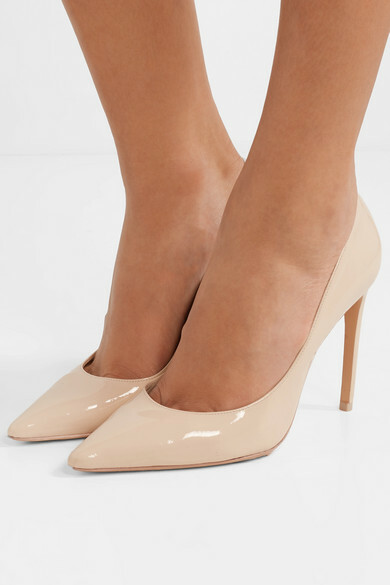 These 'Rio' pumps are made from beige patent-leather and have a leg-lengthening pointed toe. The cushioned insoles feel really comfortable, too. 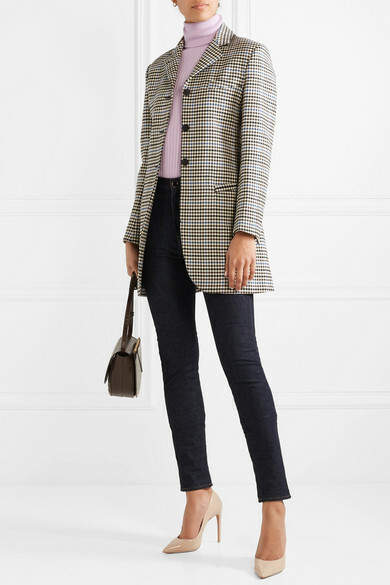 Shown here with: Victoria Beckham Jeans, L.F.Markey Bodysuit, JW Anderson Blazer, Wandler Shoulder bag, Sophie Buhai Earrings.